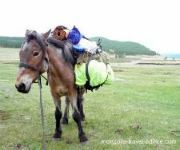 This page contains Mongolia travel essentials such as what to pack, local customs to be aware of, safety concerns, how to travel independently, and other important information. Mongolia is a very safe country, but like any developing country, you should take care of your belongings when on public transport and in the city. Read my Ulan Bator safety tips before you travel Mongolia. I've written up a detailed page on What to Pack for first time travelers heading to Mongolia. It covers everything in great detail -from clothes and footwear to camping gear and finances. 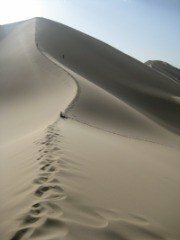 I've also made a simple Travel Mongolia: Packing list for you to download. Visas are relatively simple to obtain but it's best to arrange them well before you travel to Mongolia. Check out my page on Mongolian visa requirements for everything you need to know. Summer is the most popular time to travel Mongolia, particularly the Nadaam festival in early July- but June and September offer pleasant weather and are outside tourist high-season. My page on weather in Mongolia gives climate data and describes what each season means to both Mongolians and foreign travelers. Electricity is available constantly in Ulan Bator, and most Aimag (i.e. province) capitals now have power for at most of the day. Electricity out in the countryside is very scarce -remember this before packing a heap of electronics, and ensure you pack some head torches (one for yourself, and a few spares to give to Mongolians, who will love them!). Mongolia uses European-style, 2-pin sockets. As with any country, Mongolia has its downsides. Read about them here, so you'll know what to prepare for.